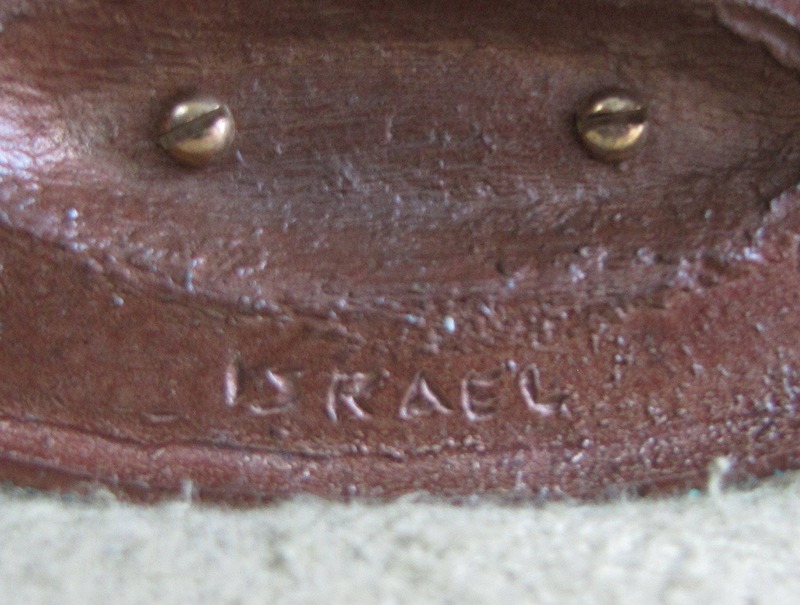 This Menorah is made of brass and has the word, “Israel” etched in the base. 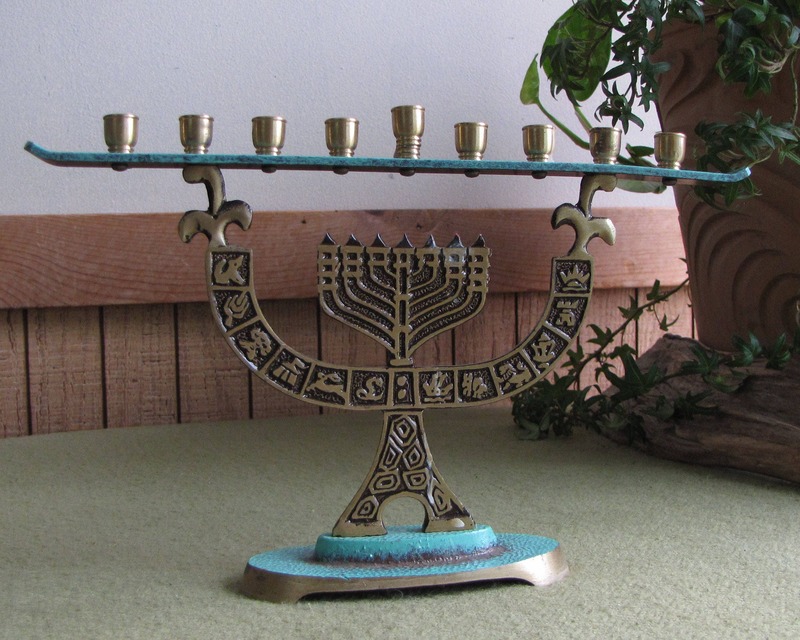 It is designed with a smaller Menorah holding up the top bar for the candles. The base and candle bar are painted a teal or turquoise color with the tips of the brass flames painted red. It is in very good vintage condition with no scratching or dents or age discolorations. 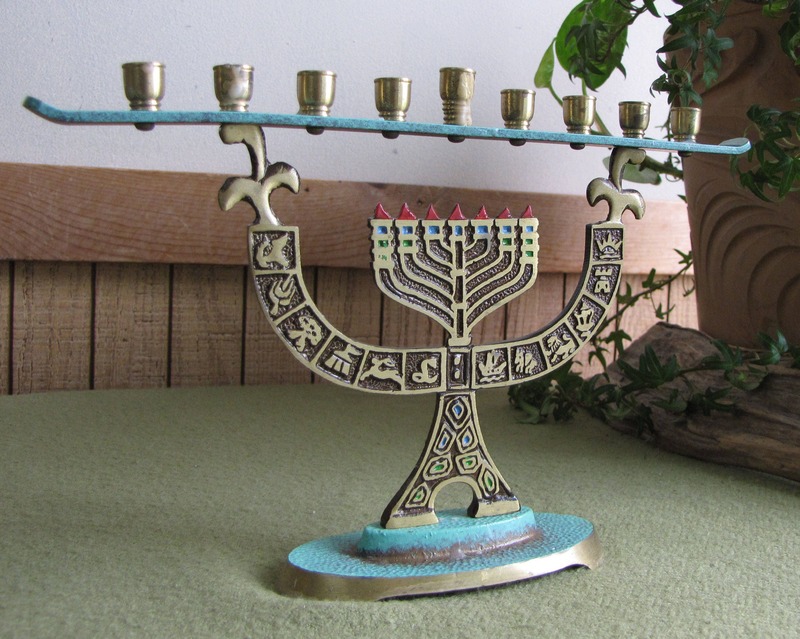 It is a nine-branched candelabrum lit during the eight-day holiday of Hanukkah. 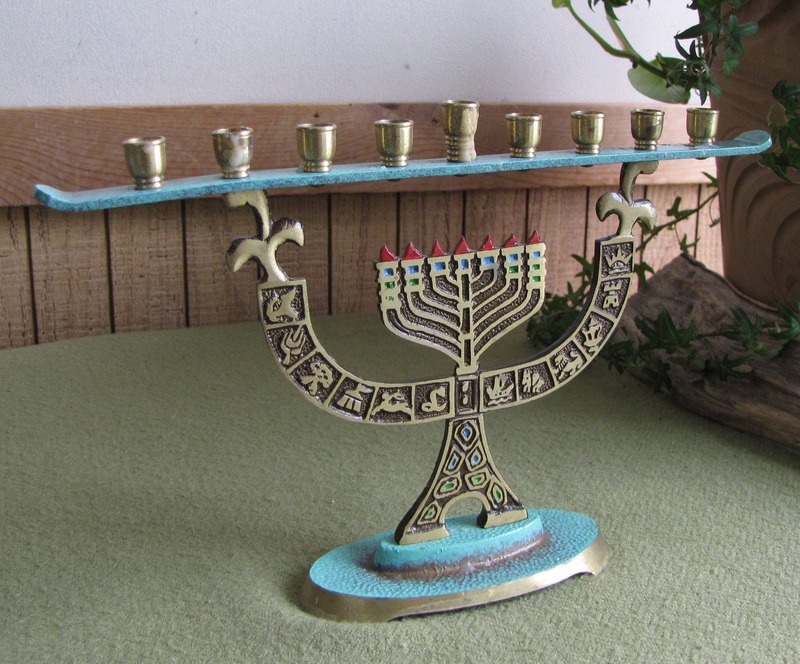 The Menorah measures 6.5 inches tall and is 9.75 inches across the top. It does have some wax drippings on it still. 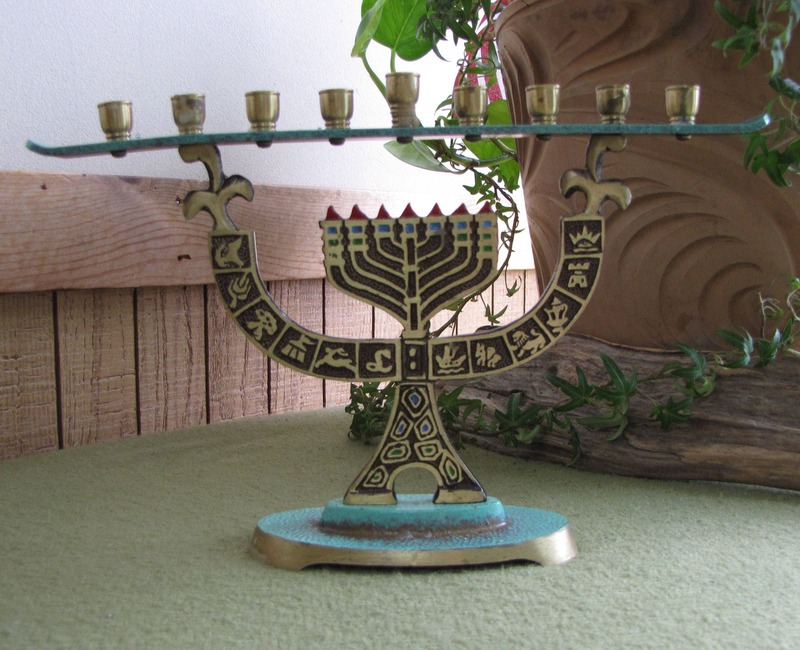 The Menorah symbolizes light, wisdom, and Divine inspiration in the Jewish faith.